$5 each **Please specify key chain or magnet when ordering. Magnets measure 2 x 3 inches. **Please specify Bears or Mountain. 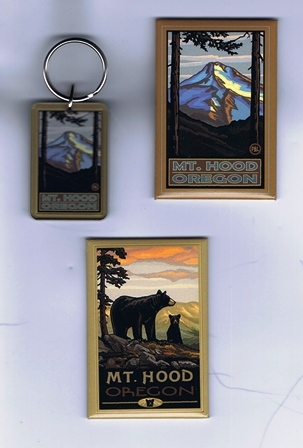 Key Holder measures 1.25 x 2 inches (1.25 x 3 inches including key ring) and has a mirrored backside, available in Mountain only.